By Mac Almeida from Maddie Day's Cozy Capers Book Group Mysteries. Hey, Happy December, all! We do up the holidays just right here on Cape Cod. My little town of Westham puts up lights and greenery and everything to make things look festive despite the really short days of the season. The bookstore, of course, creates a Christmas tree out of books with red and green covers in the front window. My friend Gin's candy store, Salty Taffy's, features candy canes big and small, plus red and white peppermint salt water taffy. My boyfriend Tim bakes stollen and challah and all kinds of other festive breads, and offers a pull-apart Christmas tree made out of pizza dough. City hall has a person-sized menorah in the gazebo that they light for every day of Hannukah. But the most fun are the decorated boats in the harbor for the marine Santa Parade! Everybody turns out to see the pretty lights reflected in the dark water. Santa and his wife bring up the rear in the fireboat, and then light the tree on land. 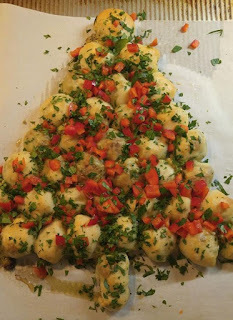 What are your favorite holiday traditions or foods? 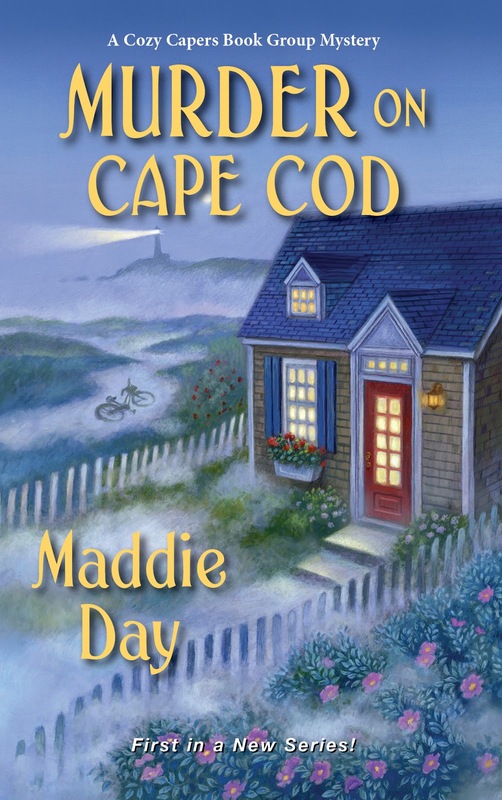 For our Seasons Readings #giveway my author will give away a signed copy of her new Murder on Cape Cod, which releases December 18 - but you'll have to wait a couple of weeks until her box of books comes in. It must be so magical in your town at Christmas! The boat parade would be something to not miss! I love baking at Christmas. It just seems right, doesn't it? Thank you for giving away your new book! I have been waiting for it! I love baking, too, Deb. I need to get going on my baking! This sounds wonderful. Our family traditions seem to be around our tree.. we don't put traditional ornaments in it because of our cats, they think the tree is their new place to climb and sleep. I put Disney stuffed animals in the tree as ornaments. 😊 Thanks for the chance. Sounds like a great solution, Lily. We love to go and see the Christmas lights. Lights are my favorite thing about Christmas, although bourbon balls, caroling, and presents are right up there. Ooh, must make my bourbon balls! I make my giant cinnamon rolls every Christmas for my kids and grandkids. They love them!! Also make lots of cookies with the them. Thanks for the chance to win. I always make cinnamon rolls Christmas morning, too! Babe, you are the randomly selected winner! Congratulations. Please check your email. I need to get going on my baking. My mother was the great cookie baker and not just at Christmas so I'll be baking some of her most special cookies in her memory! jmpurcel at hotmail dot com. I do that every year, too, Judi. This book sounds fun! We all go my grandad's house for Christmas Eve. We eat and open presents and just enjoy being together. I like potato pancakes. Making them for dinner tonight. A new tradition we started just a couple years ago was not to have the traditional big meal. Since it's just hubby and I and furbaby make three, we eat what hits us as "wouldn't that be great" that day. If the weather is nice and warm, hubby may grill us a steak or we might fix a small meal if neither of us want anything big like fixing sandwiches with chips and dip. The one thing I know we won't do is eat out. Living in a small town there are very limited places to eat. The last time we tried that we were on a waiting list for two hours and honestly the meal wasn't that grand. Thank you for the fabulous chance to win a copy of "Murder on Cape Cod"! Definitely on my TBR list and can't wait for the opportunity to read it. I think my favorite holiday food is Gingerbread French Toast Casserole. I only make it once maybe twice a year, in the month of November and December. 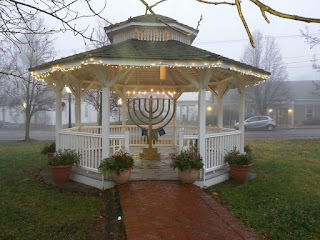 Fond memories of making and decorating Chanukah cookies, singing songs, and playing dreidel--all watching the menorah candles burn after saying our prayers. Thank you for the chance to win a copy of Murder on Cape Cod and Happy Holidays to you and yours! I like to see the decorated houses throughout town. We have Jesus’ Birthday Cake in the morning for breakfast - so we start out the day with the focus on the babe in the manger! The girls help choose what flavor and type of cake and then help Nana make it the afternoon before! My favorite tradition is that I buy the grandsons Christmas jammies every year late in November/early December, so that they can wear them all month. I try to get matching, or at least coordinating, and it makes for great photos Christmas am. I make hundred of cookies and give them out to neighbors and local offices around town that i frequent - police department, dentist, starbucks, post office. Our biggest tradition is putting up the tree on the day after Thanksgiving---then taking all weekend to decorate. My Mom always made Swedish Tea Ring. Yum!! Happy Holidays! One of our traditions is getting together and decorating the tree. It looks so pretty when the house is decorated for Christmas and puts us in the Christmas spirit. Thanks for the giveaway. Try to make my mom’s whipped shortbread for Christmas. Happy Holidays. We spend Christmas Eve day making treats for Santa (& ourselves). Sorry that comment was from me. Not sure what I did wrong there. Going to church on Christmas Eve. Also baking Christmas cookies and all kinds of other goodies. My favorite holiday tradition is homemade cinnamon rolls for Christmas morning breakfast. My favorite holiday tradition is watching Mr. Magoo's Christmas Carol with my nieces. Google Oe to recognise me today. Sigh. However, it’s neglect of our relationship shall not interfere in my attempt to enter this giveaway! One of my favorite traditions has been of sending and receiving Christmas cards. Sometimes, it’s my only link to faraway family who are much older than me...and I’m 71. I’m keeping up my end as long as I’m able. lol. I love baking cookies and giving plates of homemade cookies and fudge to others. I like seeing the decorated "Christmas Ships"
Our tradition is dinner and gift opening together as a family on Christmas Eve! I would love to see the Christmas Boat parade. My favorite traditions are driving around to look at all the lights and baking treats (cookies, fudge, and bars) to share with others. Thanks for the chance. I do love it when we all gather around to decorate the Christmas tree. Babe O'Mara is the randomly selected winner! Congratulations, Babe, and please check your email. Thanks, all, for sharing your stories. I'm sorry I couldn't reply to each of you, and I wish I had a copy of Murder on Cape Cod for everyone! Foods? Anything shared with family.